Jordan has taken as many as 800 members of the Syrian White Helmets and their families to further pass them on to the UK, Canada and Germany. Vanessa Beeley, an independent investigative journalist who specializes on the Middle East and Syria, has given her take on the matter. Sputnik: Why have the White Helmets members been evacuated from Syria? Vanessa Beeley: We need to make the statement that this is not a new attempt by the NATO member states and their allies in the regime change project in Syria to evacuate, what are effectively, some of their most useful assets in the White Helmets. This happened and had already been requested previously during the liberation of East Aleppo and during the liberation of Eastern Ghouta. Special requests were put in by UN agencies to evacuate 76 White Helmets from Eastern Ghouta while ignoring the plight of civilians in Eastern Ghouta. This issue was raised by the Syrian permanent representative to the UN in New York, Dr. Bashar al-Jaafari, and we are seeing exactly the same thing again here, in the south, in the sense that Israel, that has refused entry and left Syrian civilians, including children and elderly, on its borders, effectively and potentially to die, while now, expediting the shipment of White Helmets to Jordan and then later to be, apparently, patriated to the UK, France, Germany and Canada. 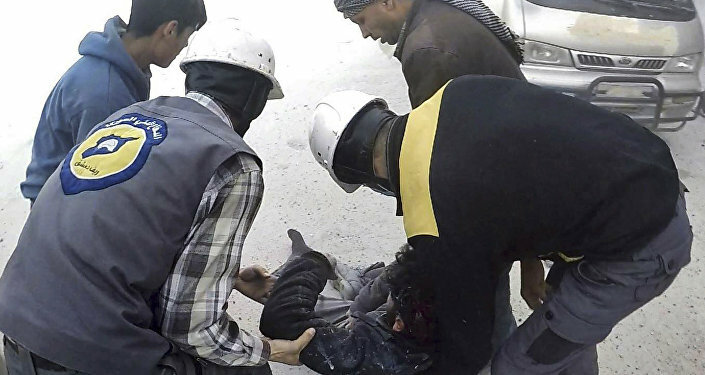 We need to also question why the US is not offering patriation to the White Helmets, despite the fact that the US State Department spokesperson has thanked them personally for the assistance they have given to the US government in their regime change campaign inside Syria; and yet now they seem to be balking at actually taking the White Helmets into American territory. So, this is an extraordinary situation, but also we need to understand that they are being evacuated now, because there are limited transferal options. The next and only option open to them is transferal to Idlib and after the evacuation of the towns of Kefraya and Foua in Idlib, there’s been a reduction in the human shields for the terrorist factions that are occupying Idlib, and there is potential for an acceleration of the Syrian Arab Army’s campaign to liberate Idlib. Therefore this is protectionism by NATO member states of one of their primary assets. Sputnik: Why do you think the US does not want to accept members of the White Helmets? Vanessa Beeley: We have to remember that Raed Saleh, the leader of the White Helmets, was refused entry in April 2016: he was deported from Dulles [International] Airport, and there were admissions then from the US State Department that he had extremist connections. 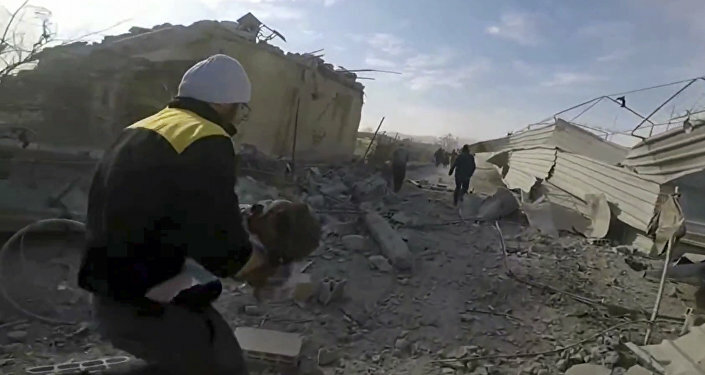 While the US will promote and elevate the White Helmets to a sort of Oscar-winning status when it serves their purpose in Syria, the likelihood of the US accepting what they know to be a terrorist organization back on to American soil is very unlikely. They would far rather, as I said, that other members of the alliance take that risk. Sputnik: What consequences can the resettlement to countries like Britain, Germany and Canada have? Vanessa Beeley: Well, I think in the same way that we know that they are extremist elements that are passing from Syria, we know, for example from Eastern Ghouta – I was told when I was there – that there were 280 British passport holders who were fighting with Nusra Front, which is al-Qaeda, who had left on the green buses to Idlib. Now the chances are that those fighters, if they had not remained in Idlib, would have passed via the Turkish border and potentially then back through Europe and into Britain. The views expressed in this article are solely those of the speaker and do not necessarily reflect Sputnik’s official position.